The International Cub's PTO ran counter-clockwise ("backwards") and at full engine speed, making it incompatible with standard PTO-driven equipment. In 1975 the "Increased Power" New International Cub was released. 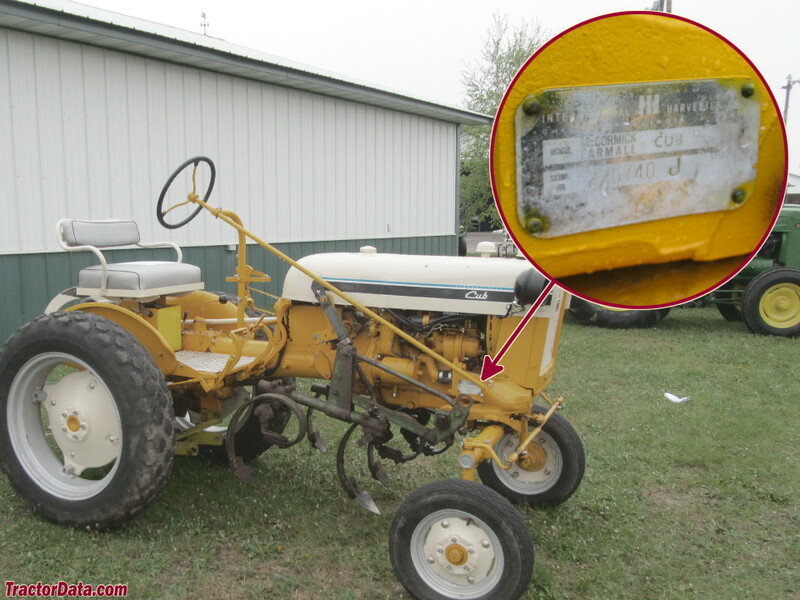 Location: Serial number plate on the right side of the Farmall Cub, above the front axle.